• Defends PC security with extra protection. Detects and analyzes Windows security environment. Scans and removes spyware and adware using up-to-date definition files in order to prevent spyware, hackers and hijackers from installing malicious programs on your computer. Erases and updates your PC's activity histories. • One click to solve as many as 10 common PC problems. Advanced SystemCare inherits the ease-of-use from previous versions, with more powerful capabilities. With one click, it scans and repairs ten PC problems and protects your PC from hidden security threats. • More than 20 dedicated smart tools for everyday PC maintenance. 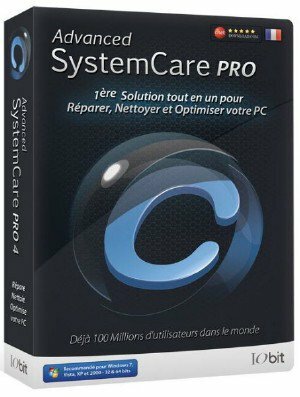 Advanced SystemCare integrates IObit's latest Toolbox, with more than 20 dedicated smart tools for everyday PC maintenance as well as advanced needs. The Toolbox feature has tools for system cleaning, optimizing and repairing, tools for security enhancement, and tools for full control over the PC system. 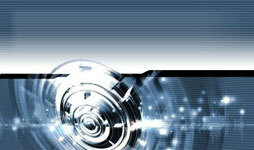 • Cloud technology to keep database up-to-date. The new "Cloud" technology ensures the database is kept updated at all times so that you can benefit from the latest definitions and configurations. • Next-generation registry deep clean and optimizer. Safely cleans registry junk, compacts registry bloats and defragments the whole registry for maximum performance. Finds and fixes the registry errors that other utilities miss with "Deep Scan" technology. • Improved Care module with more powerful clean and optimization functions. The new developments in the "Care" module include features such as "Start-up Optimization", which will scan and clean your PC much more effectively.